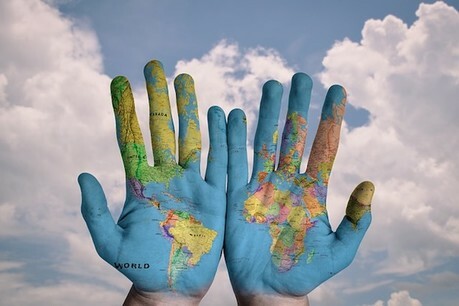 The Constructive Journalism Network (CJN) has launched a new online map to help journalists connect and collaborate across the world. The map already lists 133 newsrooms, universities and journalists, from Copenhagen to Canberra, including organisations such as the Guardian, Norway's NRK and Google Creative Labs. Constructive journalism helps engage audiences and shape their view of the world by presenting solutions to problems, rather than highlighting the issue itself. It can also improve news audience's mental health. Cathrine Gyldensted, a Danish journalist, academic and co-founder of the CJN, said that she hoped that this latest project would foster greater cross-border collaboration. "My hope is that it will work and act as a way to get an overview of who's doing what and then a newsroom in Germany might be interested in what journalists are doing in Norway or in Africa and be able to contact them,” she said. The project started as a Slack workspace, but despite their best efforts, engagement in the group soon died out. "And so that's where the idea for the map came. We thought: let's take those members and plot them on a map and put them on a website that's totally open for the world to see." Anyone can add themselves easily to the map and reach out to others; you only need to list your contact name and information, your address and a description of your work on constructive journalism. Universities, individuals and newsrooms are also all colour-coded to make connecting with different organisations as easy as possible. "The more they put in, the better, as more people will know what they're doing," Gyldensted explained. She suggested that competition between outlets often makes them unwilling to co-operate and share ideas. However, “it's been easier and easier to work with the more respected and renowned colleagues and newsrooms that have been applying constructive journalism methods in a skilful way,” she added. Journalists' approach to constructive journalism varies from newsroom to newsroom. "Some are very eager to get training because they find it to be an alien concept. But there have also been other newsrooms and colleagues that haven't been through any formal training. "The Correspondent is an example of that. They were founded on a new way of journalism and by being smart, ambitious and experimental, they created and pushed this domain. "It definitely depends on the skills of the individual journalist and which newsrooms you are part of, how experimental you are as a person and as a newsroom." She also hopes that the work created by constructive journalists will inspire others to follow in their footsteps. "Be curious about the concept," Gyldensted advised. "Ask questions if you don't know what it is and add your own professionalism to it. Any ambitious, smart journalist will be able to add productively to a modern form of journalism, where constructive elements are a part of how we report the world."